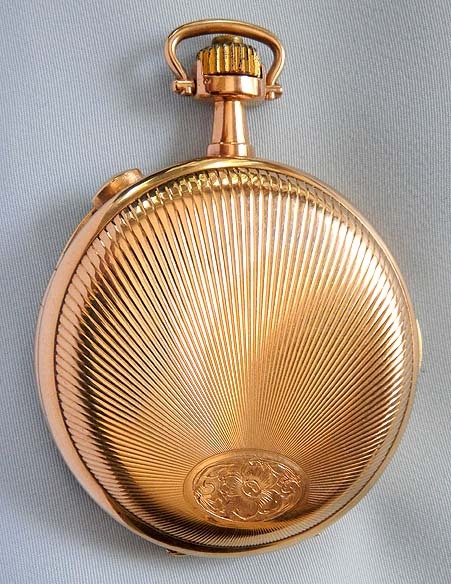 Good Swiss Volta 14K yellow gold quarter repeater chronograph antique pocket watch circa 1890. 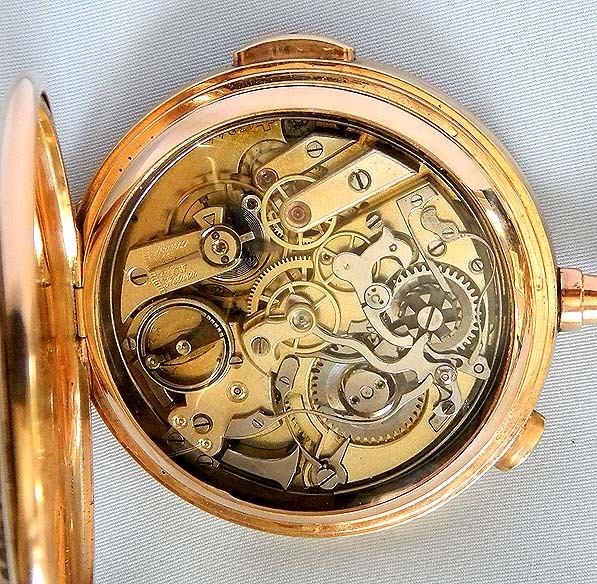 Handsome gold engine turned dial with black markings and blued steel hands. 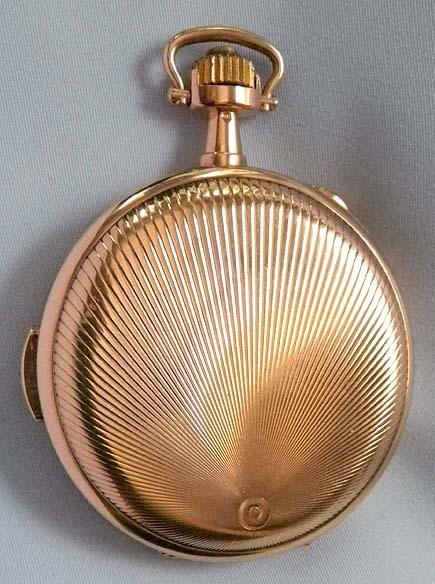 Handsome sunburst case with chronograph and repeat buttons in the band and both gold and glazed dust covers. 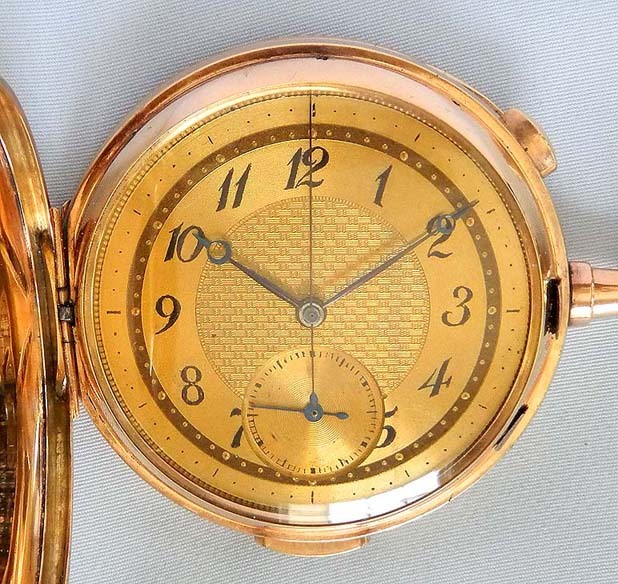 Gilt 17 jewel movement with silent governor. Excellent example. 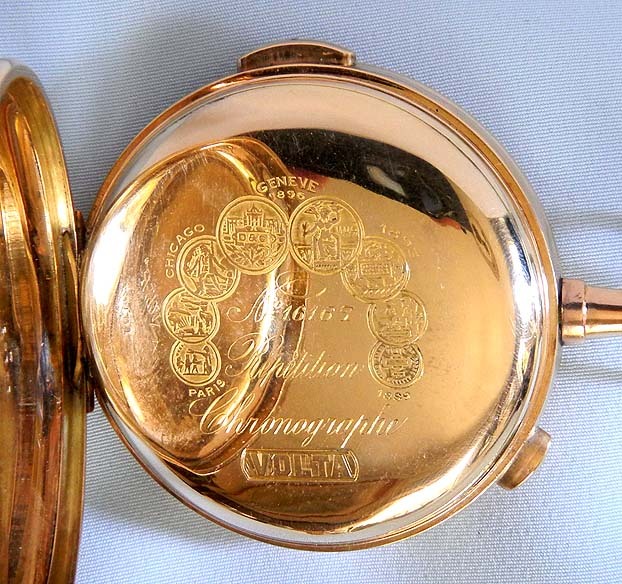 When activated this watch chimes the hours and quarters with loud clear tones.